The mayor and the heads of Sarajevo municipalities have hired 20 advisors over the past 14 months, even though these posts had been abolished. Nearly half a million KM has been spent paying them. Nezir Hadžić did not have to wait for long for a new job after being dismissed last year as manager of the Sarajevo Waterworks and Sewerage firm. Two months later he was made an advisor to party colleague Semir Efendić, head of Sarajevo municipality Novi Grad. As soon as Hadžić lost his job, Efendić hired him to advise about industry, utilities and local communities — even though he has not had advisors for years. In August 2016, this post was abolished by the Law on Civil Service in the Canton of Sarajevo. Cantonal, city and municipal institutions had seven months to enforce the law. But the mayor of Sarajevo and six municipal heads have all failed to do so. Some of them not only have kept the advisors they had, they appointed new ones. The Cantonal inspection department gave the officials additional time to harmonize their rulebooks with the new law, but that deadline expired 14 months ago. Meanwhile, budget money continues to be spent on the advisors. 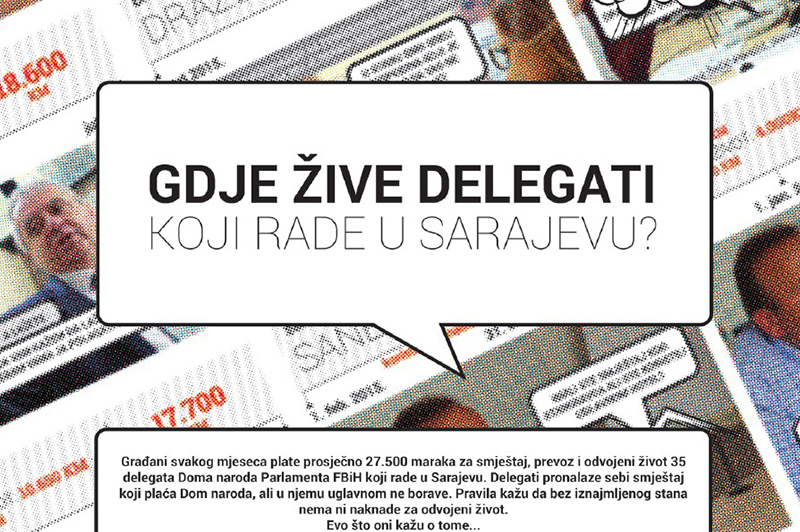 Reporters from the Center for Investigative Reporting in Sarajevo (CIN) uncovered that after the advisory posts were abolished, 20 people kept on advising the mayor and heads of municipalities. At least half a million KM has gone to their salaries. Some advisors have been more than a decade in office, while others are formers heads of municipalities, ministers and councilors, or they came from the management of public companies like Hadžić. Efendić and Hadžić did not want to speak to CIN reporters. The mayor and other municipal heads say that they need advisors, and that they have a right to them according to the FBiH laws. However, officials from the FBiH Ministry of Justice, said that the canton lays down the law for labor relations. Out of nine municipalities in Sarajevo Canton, only the heads of Ilijaš, Hadžići, and Vogošća did not have advisors during this period. The head of the Center municipality, Nedžad Ajnadžić hired the most advisors in the canton, seven. He said that he would not have been so efficient without them. Even though three of them are lawyers, none has warned him about the illegality of their appointments. 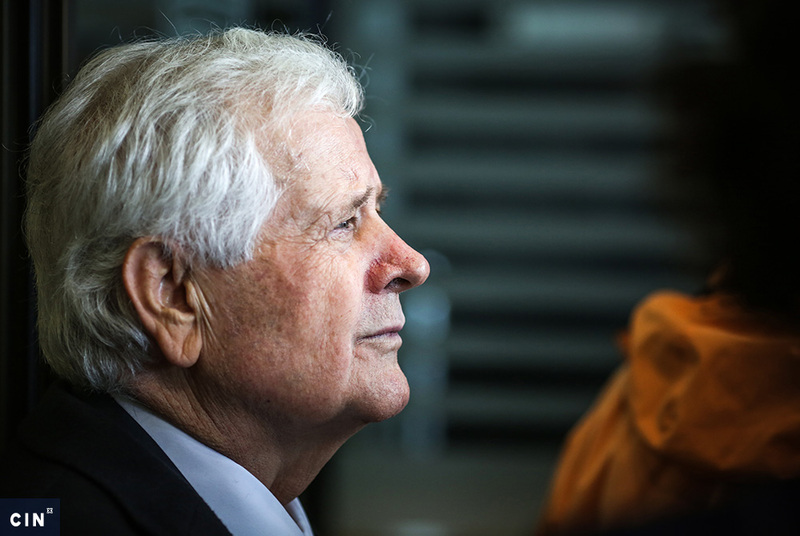 “Why would have they warn me when I know that I have a right to advisors,” said the head. Some 231,000 KM has been paid out to his advisors over more than a year. He inherited his advisors on investment, Mustafa Resić, and on local self-government, Predrag Kurteš, from former municipality head Dževad Bećirević. The three of them are now colleagues, because Ajnadžić also appointed his predecessor Bećirević as advisor for veteran issues and the non-governmental sector. He needed advice about public relations and youth issues, so he prolonged Nejra Čengić’s term in office. She used to be his advisor for local self-governance at the time when Ajnadžić had chaired the Center Municipal Council. Advisors told CIN that they are working on projects related to water supply, landslide repair, reconstruction of kindergartens and schools. He said that they also occasionally take over the mayors’ duties and receive citizens and take part in round tables and sessions. “They are extremely helpful to me,” concluded Ajnadžić. Lawyer Rada Hasanbegović from the Center municipality explained to reporters how this works in practice. She said that they look at various laws for provisions that suit them. “We ‘nibble’,” said Hasanbegović. By nibbling she meant that municipalities take a little of this and some of that from various laws. 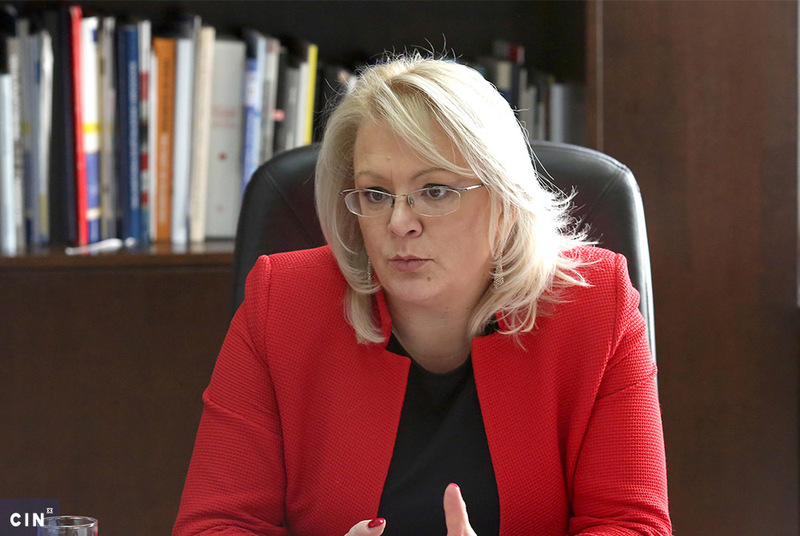 An expert administrative advisor at the FBiH Ministry of Justice, Mirsada Mujanović, told CIN that the municipalities and the City cannot not have advisors and cannot justify themselves by citing the FBiH law. “When we talk about labor regulations, then cantonal regulations are used for this municipality or that city,” said Mujanović, restating that mayors and municipal heads should not have advisors. Nevertheless, Ajnadžić insists he will not delete the posts unless and until the FBiH Minister of Justice or a cantonal inspector asks him to do that. “Until then, the counsel will exist, on my decision,” said Ajnadžić. Recently, Canton administrative inspectors visited the Center municipality, but postponed inspecting upon Ajnadžić’s request. The heads of Stari Grad, Ilidža and Novo Sarajevo municipalities also are not respecting the law abolishing advisor posts in municipal administration, saying that this regulation does not apply to them. Since January 2016, the head of Stari Grad municipality, Ibrahim Hadžibajrić, has been advised about legal affairs by a former Canton minister of internal affairs, Nermin Pećanac. In over a year, nearly 28,000 KM was spent on his salary without allowances and benefits. He is a long-time friend and a war colleague of the municipal head. Because of the confidence that he enjoys, he’s also the acting municipal secretary. 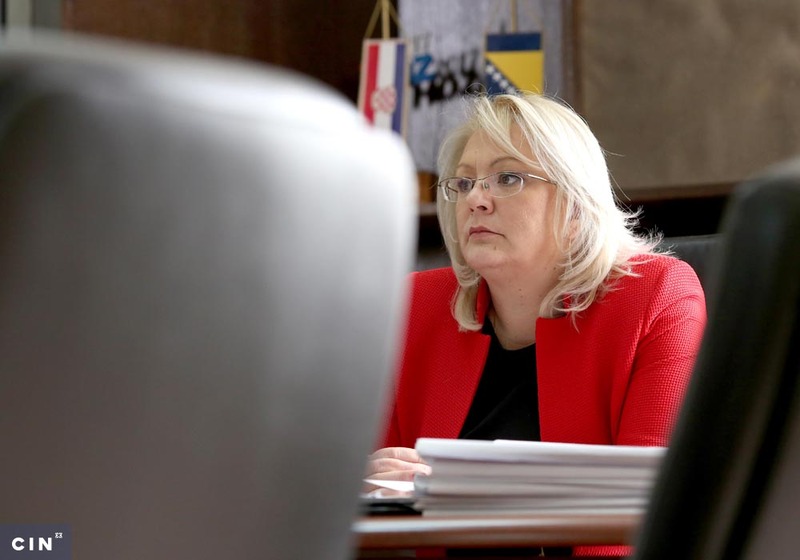 “I’m still an advisor until the legal procedure for a vacancy is finalized,” Pećanac said. The municipal head Hadžibajrić said that he Pećanac performs two duties. “Otherwise, he’s formally an advisor,” said Hadžibajrić. The post of advisor in this municipality is regulated by the Law on the Structure of Administrative Bodies in the FBiH and the Rulebook on Job Classification. However, the Rulebook is not harmonized with the Cantonal Law on Civil Service. Municipal officials don’t see a problem with this because they think that a cantonal law might be relevant for cantonal institutions, but can in no way regulate the work of municipalities. “We abide by a higher level, the FBiH level,” says Hadžibajrić. “At the end of the day, I have a discretion and responsibility if I want to appoint for myself someone who will help me in my work,” said Hadžibajrić. The head of Ilidža municipality, Senaid Memić, has three advisors, while the head of Novo Sarajevo municipality Nedžad Koldžo has one. Memić’s advisors have been long in office. Senad Đapo has been a financial advisor for 19 years with the municipality, while Fatima Prašo has been an advisor for public relations and tourism for the past decade. Husein Mahmutović has been an advisor since 2004 and before that was head of Iližda municipality for 13 years. He said that he also had always had his team of advisors. He took a three-year leave when he became the manager of Ilidža Waters in 2008. Since he’s been back at the municipality, he’s been advising Memić on economic issues. Over the past 14 months, Memić’s team of advisors has pulled down at least 105,500 KM in salary. The head of Ilidža says that he does not recognize a law passed without his councilors. He said that he did not have to respect it because he had a right to self-governance. “And in the local self-governance we know what’s best for us. No one can hand it down from ‘the above’,” said Memić. When reporters told him that the cantonal law banned advisors, Memić said that the law was stupid, and that he could always cite the FBiH or state regulations. Sarajevo’s Cantonal Minister of Justice and Administration Mario Nenadić, said that the municipalities favored drafting of the law, but now ignore its provision on abolishing advisors. The municipality of Novo Sarajevo headed by Nedžad Koldžo is the only municipality that did not open its records on the number and terms of advisors. Nearly 2,000 KM is paid every month for the basic salary of Koldžo’s current advisor. This does not include transport and food costs. In 2016, the Audit Office for the Institutions of the FBiH, stated that the head of Trnovo municipality, Ibro Berilo, had three advisors whose jobs were not as they should have been classified by internal regulations. Berilo told CIN that he was entitled to two advisors, but along with Selim Hamzić, who’s been advising him since 2013, he hired Nađa Dreca and Elmir Šehović. He said he wanted to help the fallen veterans’ children. The municipal head hired Dreca and Hamzić on half-time – they each received half a salary and they worked as one advisor for business utility infrastructure and construction. “Thus we had to fit in the financial sum of money between two advisors,” Trnovo mayor said. Meanwhile, Dreca became a civil servant with the municipality, while Berilo had to dismiss Hamzić at the beginning of this year after auditors found that he had worked for five years without a contract, collecting allowances and benefits. He received a regular monthly reimbursement with paid benefits, but the municipality had no file on him or any records. Berilo said that Hamzić was working on a service agreement during the time. “This is because the man had been retired,” explained Berilo. According to municipal records, Hamzić took home more than 66,000 KM in reimbursements over five years. After Hamzić left the position, Trnovo municipality incorporated a public company Electro – Trnovo“ in the middle of last year. Hamzić took over as its acting director. Hamzić told CIN that he could not comment because of serious health problems. Despite new cantonal law making inroads into the city and municipal legislations, the head of Trnovo said that decisions for municipalities can only be passed by the municipal councils and that he’s not far from appointing new advisors because he’s too busy. “As the head I cannot run around and cover all bases,” said Berilo. Berilo’s third advisor was Elmir Šehović. He advised Berilo on issues related to social issues from April 2015. He’s now a civil servant in Trnovo municipality and president of the Party of Democratic Action (SDA) Youth Association in Trnovo. His boss also belongs to the party, but Berilo said Šehović was not a member while he was advisor. Šehović told CIN he would speak on the topic, but ignored all later calls. “We hired young Šehović after we publicized a vacancy. As for young Nađa, we had put it out earlier – we hired her because we had been waiting for conditions to be ripe so we could hire her,” Berilo said, explaining how he solved the auditor’s complaints related to advisory posts in Trnovo. Sarajevo Mayor Abdulah Skaka appointed four advisors at the beginning of his term. Erna Čolić advised the previous mayor and besides her, Skaka appointed– Nedim Tvrtković and Maja Hadžihalilović for legal affairs and Ensar Eminović for advice about international cooperation and EU integrations. In February, they all became civil servants in the city administration except for Eminović. They found a great champion in Berilo and Trnovo municipality. Last September, the municipality had vacancies for which Hadžihalilović, Tvrtković and Čolić applied. They applied for jobs as expert advisor for legal affairs and economy; expert advisor for normative and legal affairs; and expert advisor for public relations. Six other candidates applied but only one showed up for the exam and he was not more successful than the advisors. Once appointed, Tvrtković, Čolić and Hadžihalilović asked Berilo to approve their transfer from the municipality to their earlier employer –Administration of the City of Sarajevo. “It is necessary that I start work in a new job on Feb. 1, 2018,” the new civil servants wrote in identical requests. Berilo especially praised Hadžihalilović to CIN. However, though a member of his team, he let her and her colleagues go. “They said they wanted to leave. That’s how it is,” said Berilo. The agreement on the takeover of civil servants with the Skaka was signed the following day. CIN reporters asked Skaka why the city did not look for hires if it needed them. The trio worked in the municipality for one day and then next they moved to the city, just as they had requested. Hadžihalilović now works as the head of the mayor’s administrative department. She told CIN she was headed into a maternity leave and not interested in commenting. Tvrtković holds a post as mayoral assistant for urban planning, investments, housing and utility affairs. He told CIN that he was on a vacation and could not talk over the phone. Čolić is the head of Mayor’s Cabinet. She agreed to meet but did not answer her phone at the arranged time. 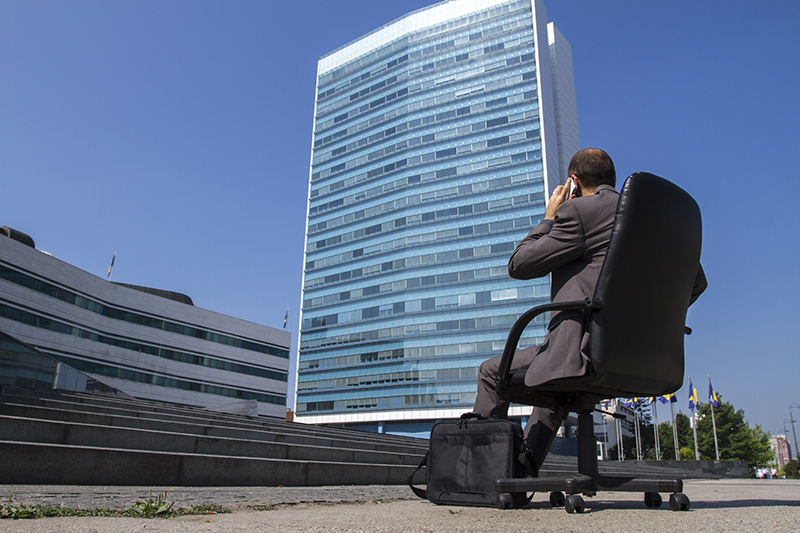 The law allows for the transfer of civil servants from one to another public administration body. Sarajevo Canton Minister Nenadić in this cases perceives a bad intent and suspects the procedure. He said that when putting out a vacancy, a public body must prove why it needs new people. “Why did they put out a vacancy and then quickly approved that a person can move on?” says Nenadić. Skaka and Berilo say no deals were set up over the vacancies and the transfer agreement. Pa kad su novinari sve otkrili sto sad ne prijave u tuzilastvo i samovolju sankcionisati,ako jedni mogu bez savjetnika a drugi ne,onda su nesposobni i jos krse zakon,ko zna koliko jos zakona krse , bas pravi Begovi.Bagru u zatvor .Lako im je krsit tude pare i gloginje mlatiti.